If you are feeling lethargic, fatigued or weak without any reason and/ or also experiencing other disturbing symptoms like unprovoked pain, digestive problems, skin allergies and weight gain, then you should consider detox. Detoxification is a term that suggests purifying, nourishing and resting your body to promote the excretion of toxins and irritants from your system. This mode of natural care has been in practice by different cultures for hundreds and thousands of years. Even Chinese and Ayurveda medicine also incorporate this method of revitalization and rejuvenation. Knowing how to detoxify your body helps your body to combat against diseases and also allows it to self-heal. Read Labels. Properly read the tags of the cosmetic products that you buy, as it may contain many harmful chemicals that may increase your risk of developing certain cancers and tumors. Bring Nature Indoor. Make sure to keep some indoor plants inside your home that will keep the air and your surroundings fresh and clean. Hot Detox Bath. By this process many toxins can just be eliminated with sweat. Just rest yourself in a bathtub containing hot water (40-42 degrees) and add some magnesium salt. After few minutes you will experience sweat coming out your body that is toxin. Take a cool bath after this and you are free from toxins. Eat More Fibers. Fibers are the best cleaning agents and are of vital importance in digestion. Maintaining a high intake of fibers allows your body to eliminate harmful waste materials, preservatives, and toxins that invites ailments and diseases in the digestive system. 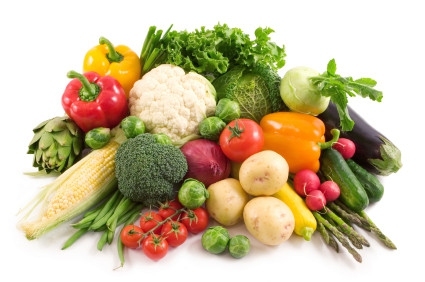 Fresh fruits, vegetables, whole-grain cereals, almonds, lentils, beans all are good source of fibers. Eat Organic. Organic foods are mostly devoid of harmful toxins. This is mainly because, organic foods are not treated with herbicides or pesticides. So if you are obtaining your food from non-organic sources, it is highly recommended to thoroughly wash your food. Restrict Your Intake of Simple Carbohydrates. The simple carbohydrates sources include (but not limited to) white bread, white pasta, white rice, soda and sugar. They lack vital nutritional value and do not provide any essential vitamins or nutrients required by the body. Therefore you need to shift your diet to complex carbs and more fibrous diet. Legumes, cereals, potatoes, starchy vegetables, brown rice are good fiber diet. Cook with Healthy Oils. Normally the oils used for cooking are resistant to heat (to a defined point which is known as smoking point). These oils oxidized at low temperature and become toxic. Webmd recommends cooking with extra virgin olive oil, canola oil and walnut oil. Avoid Caffeine, Alcohol and Excess Sugar. 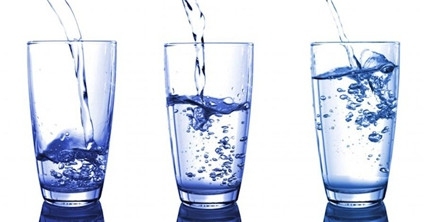 When you are on a detox, make sure to strictly restrict the use of alcohol and caffeine. In addition, smoking is also a cause of added toxin exposure and accumulation; therefore cigarette smoke should also be avoided. Consumption of excess sugar in your body can also results in added stress to your liver and hence it may create a hindrance in detoxification process. Increase Vitamin C in Your Daily Diet. Researches have proved that vitamin C has an effective role in detoxification. Hence by simply increasing vitamin C in your diet can get rid of toxin. Examples include dark leafy greens, kiwis, berries and broccoli. How to remove toxins from body with super easy recipes? Check this out! Lemon. Lemons have a great role in the process of detoxifying. Lemon can simply be squeezed into a glass of water or it can be used in salads. It helps the digestive system to work properly and also detoxify toxins. Green Smoothies. Watercress is classified among highly potent liver boosters. You can consume it in the form of salads as well as smoothies. Consumption in recommended doses helps liver to release certain enzymes that help in detoxification. Sleeping does not have any direct impact on detoxification process; but then how does it removes the toxins from body? It is imperative to know that during sleeping the body goes under self-repair or healing mode. Needless to say that rejuvenation process is an integral component of the detox. Sleep is also vital in maintaining the immune system, as it is the basic defense system of the body that fights against the viruses, bacteria and toxins in your immune system. Sleeping also reduces the chances of having heart diseases and other lethal diseases and sleeping also prepares the body and energy for the upcoming day. Massage is very useful in getting rid of excess toxins that have accumulated in the body, if performed in the hands of a professional. There are certain focal points where there is high accumulation of toxins. Massaging those points can get you rid of those toxins. Server responsed at: 04/19/2019 10:48 a.m.